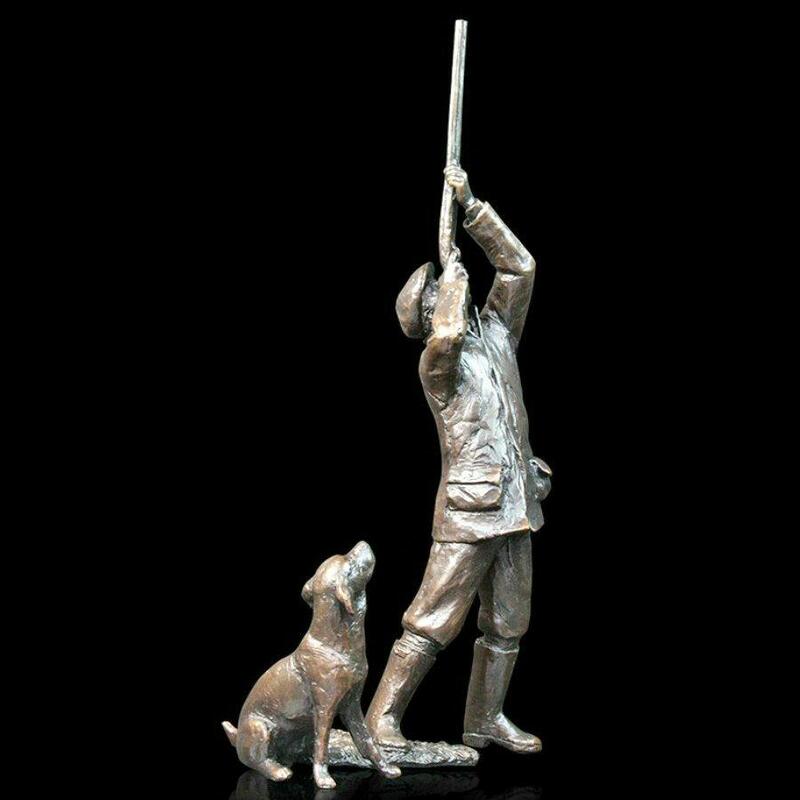 Country shooting scene in bronze by Michael Simpson. A shooter takes aim from the last time before heading home - his faithful retriever gun dog waits by his side, ready to go if needed. This highly detailed and nicely textured solid bronze, limited edition sculpture would be an ideal gift for a lover of traditional British game hunting traditions.